One of the signs of the worsening situation in the Indian and Pacific ocean region, where the focus of world politics is shifting, is the strengthening of the military’s voice in the cacophony of the sounds that are coming from the Indo-Pacific Region. Moreover, the trend towards the adoption of foreign policy functions by military organs is characteristic not only of the leading world power. Earlier we noted that the excessive (in the author’s opinion) publicity of the Commander of Indian Ground Forces, General B. Ravat nearly led to the disruption of the process of resolving an extremely dangerous conflict with the PRC, which had developed in the Himalayas during the summer of 2017. These are all bad signals. For if the polysyllabic muse of professional diplomats can be silenced then the roar of guns will take its place. Such unhappy sentiments are provoked by the announcement of the appointment of the current head of the most powerful American commander of the Pacific Command (USPACOM), Admiral Harry Harris, to the (vacant since September 2016), post of US Ambassador to Australia. However, judging by the site of the command, at the time of this article being written, he continues to act as head of USPACOM. 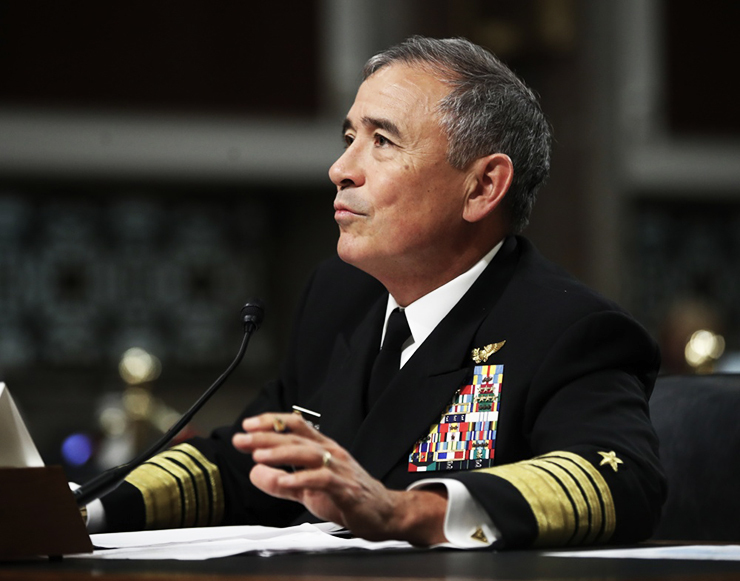 The IMC has repeatedly paid attention the political activity of Admiral Harry Harris. It is namely with him that the current actualization (almost forgotten) ‘Initiative of the Quartet’, the United States, Japan, India and Australia, in the second half of the last century is associated. Practical implementation of the ‘Quartet’ project will definitely lead to radical shifts (negative ones) in the region and in the world as a whole. The first information that President Donald Trump was considering Harris’ candidacy for a ‘key diplomatic post in the face of rising tensions in the region’ appeared in the Washington Post in late August 2017. It has also been reported that the candidacy of Harry Harris for the post of envoy to Australia enjoyed the full support of then-closest adviser to Donald Trump, Stephen Bannon, that is, one of the biggest ‘anti-China hawks’ of the United States. Apparently, Stephen Bannon’s ‘case’ continues to live on, although he himself has left the political arena. The word ‘China’ occupies a central place in the current comments of the American press on Harris to an extremely important diplomatic post. Once again, the words or mantras, which he has repeatedly pronounced over the last two years on certain political platforms, have been reproduced. Such, for example, as: ‘undermining the international order’, ‘US military challenges in the region’. These words are invariably used as arguments in favour of creating the ‘Quartet’. Harry Harris pays particular attention to the situation in the South China Sea, where, in his opinion, the notorious foreign policy ‘drive’ of the PRC is particularly evident. Just at the time of the last burst of media attention to his personage, another call came in the South China Sea of a shock group led by aircraft carrier Carl Vinson. A spokesman for USPACOM said on board the aircraft carrier that in response to China’s construction work on the islands in the SCS, the US ‘will continue patrolling wherever international law is allowed’. We recall that in this type of turnover, ‘notwithstanding’ Washington’s failure to recognize the very fact of China’s claims to 80-90% of the water area of ​​the SCM and, in particular, to own the islands located here. On some of them there has been active construction of various facilities, including military ones, over the past few years. Recently, the Australian Navy has been actively joining in the “patrolling” in the SCM. However, this is only one of the two main, contradictory components of Australian policy towards the PRC (present, however, in American politics, but not in such a clearly expressed form). The second is related to Australia’s extreme interest in developing economic ties with the very same PRC. Depending on the party affiliation of the country’s current leadership, in this political schizophrenia, one or the other component takes precedence. Now (for the second consecutive term) a conservative bloc led by the Liberal Party is in power. Before that (from 2007 to 2013), the Labour Party was in power, whose leader Kevin Rudd immediately put an end to the ‘Initiative of the Quartet’ (as it seemed at the time) and brought anout a significant portion of the positive relations with the PRC in the political arena. In the 2013 elections, the Labour Party suffered a severe defeat, in 2016 it significantly restored its positions in the parliament and in the next elections, which are to be held in the summer of 2019, may well return to power. It is important for the Australian conservatives that Harry Harris in the remaining year not ‘plough up’ the region very strongly. Meanwhile, British conservatives have joined their colleagues from Australia, attempting to return to the London policy of the region ‘east of Suez’. On February 13, the Gardian newspaper reported that during the two-day visit to Australia, British Secretary of Defence G. Williamson had decided to send the anti-submarine frigate Sutherland (‘next month’) to the South China Sea. It has also been said that the ship will enter the 12-mile zone around one of the islands, which the PRC claims to own. We note that earlier only American ships engaged in ‘calls’. ‘We fully support the United States in this’, said Gavin Williamson. All the same, the phenomenon of British foreign policy is amazing! Only two weeks before the decision by the Minister of Defence, his boss, Prime Minister Teresa May had been on a visit to Beijing, where she smiled charmingly at the Chinese leader Xi Jinping. The beginning of an era of ‘creative and cultural cooperation’ had even been announced. It should be noted that two years earlier, during Xi Jinping’s visit to London, a ‘golden era’ in the sphere of bilateral economic relations was spoken about. And how does this intention, an increasingly rosy ‘era’, fit in with the intention to send a British ship to China (as they believe in the PRC) to Chinese territorial waters? So far, the era of confrontation with China by American-British-Australian conservatives is looming. Is this not indicative by the appointment of one of the US military’s ‘hawks’ to an important diplomatic post in the region ?